1. If you have not already inserted an SD card in your Alphasmart Dana, do it now! Your SD card should be 1 GB or smaller, as the Dana only handles text and doesn't need a lot of room to store information. SD cards larger than 1 GB cannot be used with the Alphasmart Dana. You do not need to fill both slots with SD cards for this to work; one will easily suffice. 2. Open an existing file or create a new one, then tap the file tab bearing the document's name. (It's probably titled "Unnamed.") A horizontal menu bar will appear. 3. Under file, tap "SAVE AS." A small drop-down menu with a black arrow will appear near the space provided to enter a file name. Tap the arrow and select the desired SD card from the list. 4. Enter a file name and tap OK.
5. Congrats—your file has been saved to your SD card! 1. Open a new file. Tap the file tab bearing the document's name. (It's probably titled "Unnamed.") A horizontal menu bar will appear. 3. On the far upper right-hand corner of the screen, tap on the small black arrow. A drop-down menu will appear. 4. Tap on the name of your SD card. 5. A list of documents stored on your SD card will load. Tap the document you want to open and presto!—there it is. 2. Tap the "Card Info" button on the home page screen. 3. Tap the small black arrow to alternate between cards. 1. 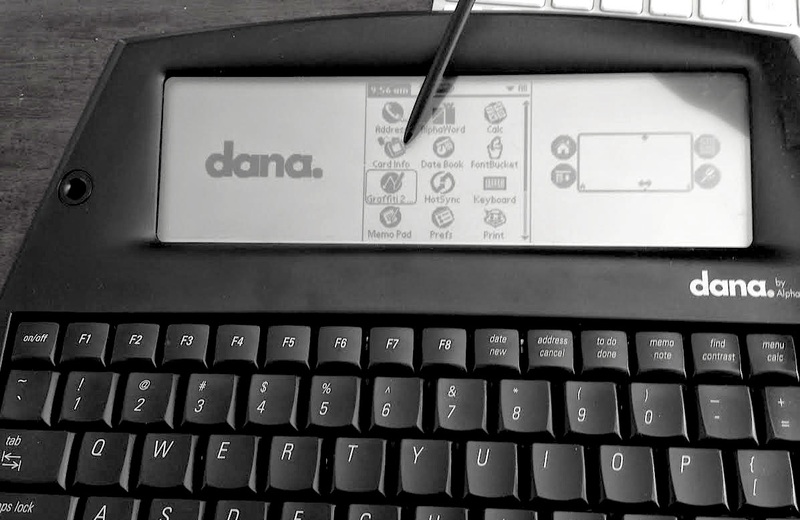 Save your current file and press the "Home" key on your Dana. 2. Press down on the SD card to eject. Use an external USB card reader. 4. 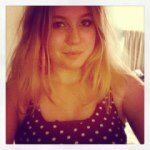 Double-click the SD card's disk image on your computer. 5. Drag to desktop or right-click the PDB files you want to save to your computer. This...is where I got nothin'. 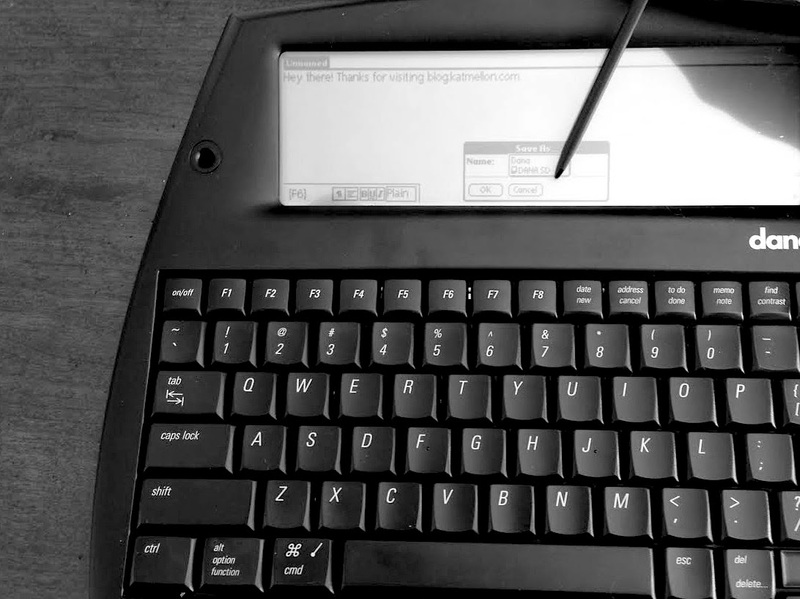 Unless you have an older computer with PalmOS capabilities, you'll need a mechanism that converts .pdb files to .rtf (rich text format), .txt (plain text), or a similar equivalent. I've looked everywhere for a solution, but there's nothing to my knowledge that can convert a .pdb Wordsmith file which doesn't require some programming knowledge. (Installing the old PalmOS software may be an option depending on your operating system, but it's unfortunately too outdated to run on most computers.) Sites like CloudConverter.org can't process this particular type of PDB file either, I'm afraid. My advice is to save your documents to SD cards and plan to use them for only that purpose. All data stored directly on your device will be lost when the Dana's batteries die or are removed, so saving to an SD card is critical. If you need an SD card, look on Amazon or eBay for cards that are 1 GB or less in size. 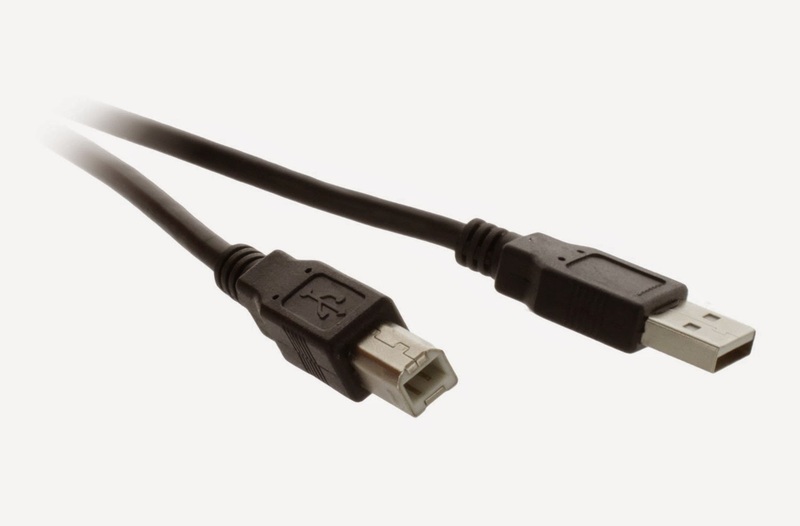 Cables marked as "2.0" and "3.0" are safe to use with the Dana. Even though they're more recent, they're backward compatible with older devices. 1. 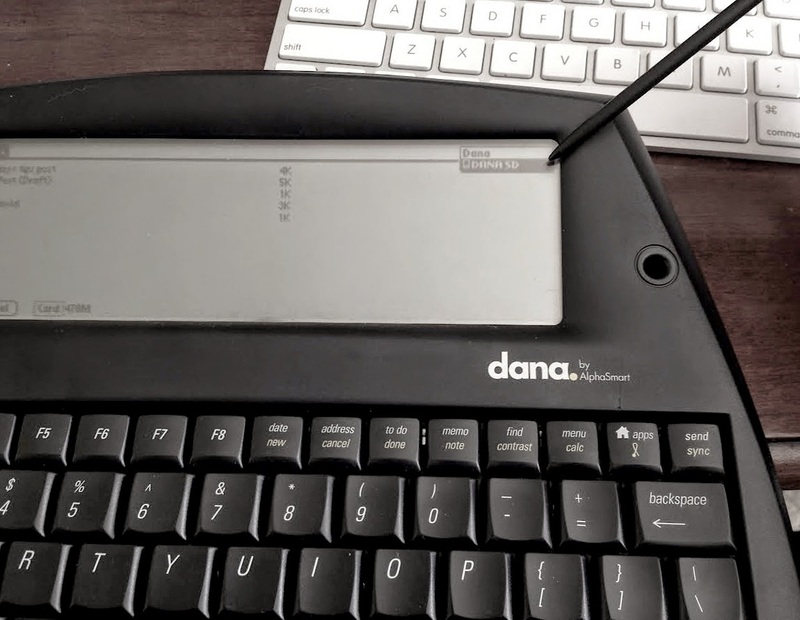 Use the USB cord to connect your Dana to your computer. 2. Open both a program capable of receiving text (Word, a blank email in Gmail, etc) on your computer as well as the document on your Dana that you want to transfer. I'll keep you guys posted on the PDB conversion situation; similarly, let me know if you've found a solution! Hey Kat! How nice to see some other Dana lovers still out there. There is an application alled CardTXT, which I use to store text as .txt on my SD card. Try it, it's still available on the internet. Good luck! Oh, I have to add, it has a limit of 4 mb it can handle. CardTXT is a free option, but you could also consider looking up old commercial applications, like Documents To Go, QuickOffice or TealDoc. Thank you for the heads up about CardTXT! That's so cool (and I hope you're enjoying your Dana)! It's too bad they don't have a Mac version...I'd use the hell out of it. You can write and save files in plain .txt format (plain text), then pop the memory card into a card reader on your PC and move plain text files back and forth at your leisure. As always with a Dana, save your files frequently to your memory card so if the batteries die out, you still have the files saved. I have used this solution for several years with no data loss and the benefits of a portable word processor -- while I prefer the AlphaSmart neo because of better battery life and the more readable screen, the advantage of CardTXT on the Dana is that you can move plain text files back and forth without needing to rely on a software solution.